That’s why University of Rochester biology professors Vera Gorbunova and Andrei Seluanov and postdoctoral associate Yang Zhao studied naked mole rats to see if the rodents exhibit an anticancer mechanism called cellular senescence—and, if so, “how the mechanism might work differently than in short-lived animals, like mice,” says Zhao, the lead author of the study, published in PNAS. Researchers therefore believed senescence held the key to the proverbial fountain of youth; removing senescent cells rejuvenated mice, so perhaps it could work with human beings. Companies began investigating drugs—known as senolytic agents—that would kill senescent cells and translate the anti-aging effects to humans. 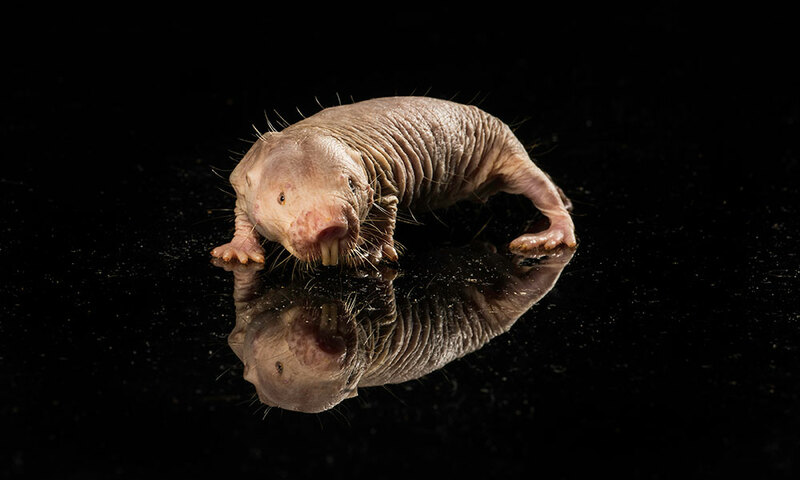 In their recent study, Zhao, Seluanov, Gorbunova, and their collaborators compared the senescence response of naked mole rats to that of mice, which live a tenth as long—only about two to three years. “We wanted to look at these animals that pretty much don’t age and see if they also had senescent cells or if they evolved to get rid of cell senescence,” Seluanov says.